Cinemax was extraordinarily prolific on DSiWare, producing 14 games for the platform; the Rytmik series was an obvious stand-out. The Czech publisher is now preparing its first title on the 3DS eShop, and it seems to be an ambitious project. 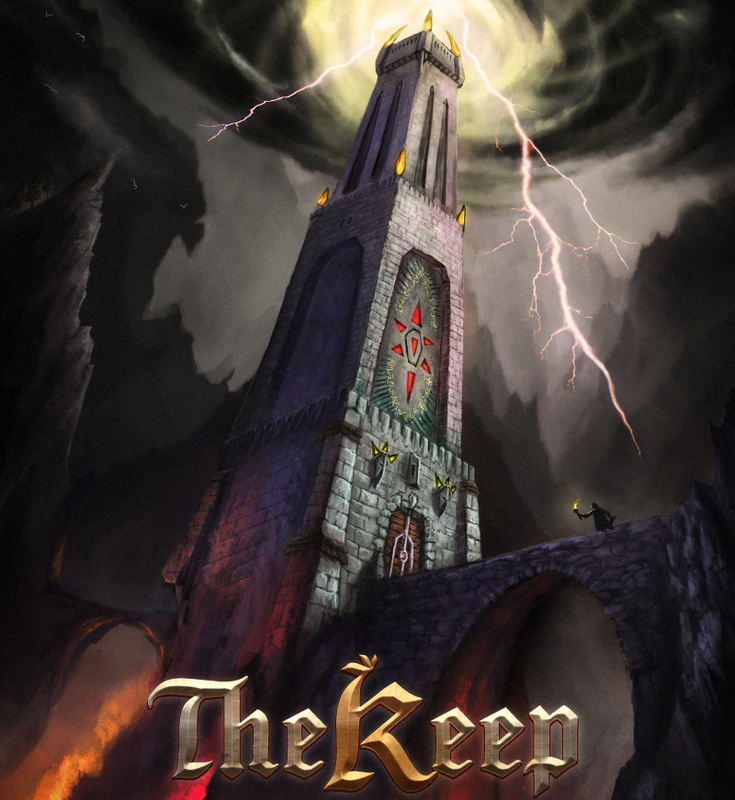 This new title, due in the Summer, is called The Keep. It'll be a challenging first-person dungeon crawler, which may attract the interest of those that enjoy franchises such as Etrian Odyssey, and will make use of touch controls to suit "newcomers and fans of the genre alike"; it'll also feature real-time combat. For such an active studio — which has also produced many smartphone games and apps — this does seem like a labour of love, taking a comparatively lengthy 15 months to develop with the team "trying to pour all their love for old-school games into the game". It'll be unveiled fully with gameplay footage and screens in the "very near future". While we wait for that, let us know whether you're intrigued by the concept in the comments below. Alright you got my attention! Image makes me think of Castlevania, even if it as dungeon crawler. Look forward to more news. Real time combat???? We shall see how this works out! wish we had a video to look at though. Definitly interested! @Spoony_Tech Yeah, that had me blinking and re-reading the info! As I say in the article, footage etc should come really soon, so it'll be intriguing. @ThomasBW84 If it's like Kings Field then i'm all in! I miss that game and had a ton of fun with it! this sounds promises. i just hope it`s not a let down in the end. Interesting, we'll see how it pans out. I'm skeptical about 1st person real time combat; otherwise I'm intrigued. I try not to let my expectations get the best of me anymore where games are concerned. Seems like the hype is never equal to the reality, with a few exceptions (Bravely Default) so I will wait for your review. Let's just hope it's got a lot of content, great visuals and music. It's too early to tell, not even a teaser screen shot. My mind is thinking "Skyrim" on the 3DS, but with no open world environments, just dungeons. I could be wrong, and hope I am, as long as whatever they're doing is epic. I have Rytmik Retrobits for DSiWare and love it. Been considering buying the other music apps as they are really a lot of fun and sound good. I'm interested in this concept, but I'll need to see some gameplay before I get excited. If it's a Lands Of Lore like, I'll buy it day one ! Hopefully, there'll be a demo. This sounds very interesting. Just too bad it's not based on the F. Paul Wilson book of the same name which centered around NAZI VAMPIRES. There is a movie version of it but I'd suggest staying away from that as it is really, really awful. As soon as I see gameplay of the first-person combat I will be able to judge if this game is for me. I do like the sound of it so far though! it sounds awesome i hope they make a trailer or a demo to see how great its going to be. This shouldn't be a very long game considering the size of the tower. If that guy doesn't get shrunk that is. But a good new dungeon crawler on the eShop would be a nice thing. So far I'm sold on this. It sounds like a game on DS I enjoyed Called Deep Labrinth which was pretty neat Dungeon crawler with real time encounters. For those who don't know Deep Labyrinth was brought to us by Atlus. Its also a pretty cheap pick up these days for around 7 to 15 dollars. Good gaming! It would be seriously cool if Nintendo would offer DS games in the 3ds eshop for VC.